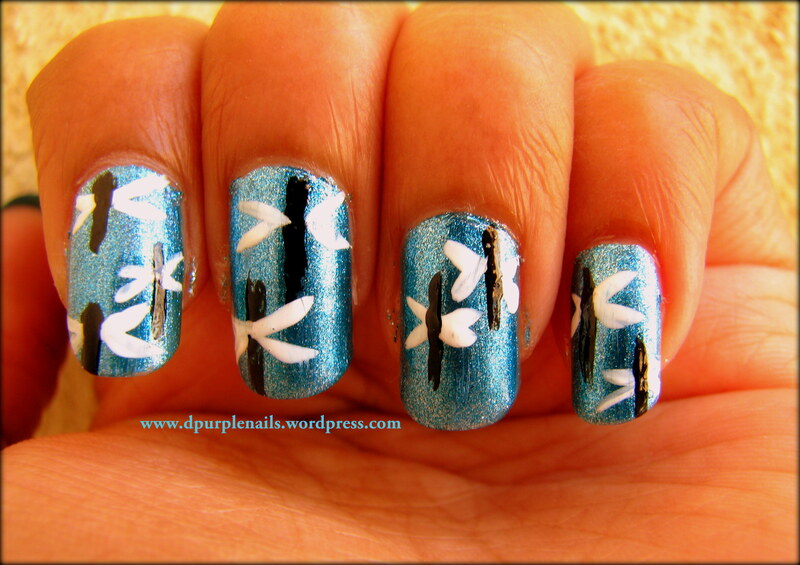 These are Dragonfly nails, easy to create with a simple nail art brush. First I applied Blue shimmer polish and with the help of nail art brush I created black lines for body and white lines for wings and applied top coat. Simple and easy dragonfly design is ready.